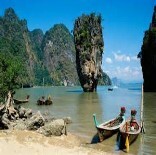 As winter settles in Australia, join MSA’s swim training camp in tropical Phuket. Award winning coach Colin Shugg will assist you to attain your swimming goals. Whether you want to improve your stroke and swimming efficiency or have a goal to swim the English Channel this camp is for you. 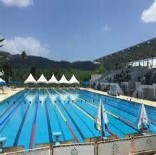 Your home for the week is the world class Thanyapura sports complex in Phuket. 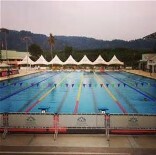 Colin will coach 2 training sessions daily in the state of the art 50m pool. During the day you will have time to explore the area, sit by the pool or head to the beach with Colin for Open Water skills and training. Or you might want to sign up for one of the cooking courses on offer. After your shower head to DiVine the award winning organic restaurant for a sumptuous buffet dinner. 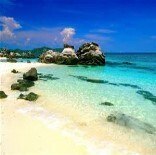 Optional Open Water swim training at the beach with Colin, or free time to explore the area and the resort. Buffet dinner in the restaurant. Colin will always be on hand to answer your swimming questions. Sadly it is time to say goodbye to Colin and your new swim friends. 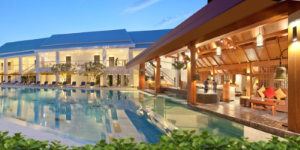 To secure your place on this trip complete the online booking form - we will then send you an invoice for $500 deposit - balance due April 2019. Cousins Tours & Travel are a fully licensed travel agency and can assist with your airfares, travel insurance and any pre or post travel arrangements. A brief outline of Colin's swimming and coaching career. Swimming : Several Victorian Surf Swimming titles. 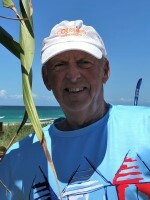 Member of Victorian SLSC team. Trained with Dawn Fraser as part of Harry Gallagher’s squad. 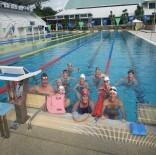 Coaching : Frankston Swimming Club. Head swim coach for 15 years. Level 2 ASCA qualified. Padua College. Swimming coach for 31 years: The school won 29 out 31 titles in that time including the last 28 in a row. Current swim coach at Mt. Martha Lifesaving Club and have been for the past 5 years. Mainly mature swimmers in both open water and pool. Coaching Philosophies: Improve technique. In older swimmers, improve efficiency. Teach swimmers the principle of “ progressive overload” which allows them to develop their own programs when they haven’t got access to a coach. Highlight use of mental approach in competitive swimming. Colin also teaches people to play Bridge and other card games (something to keep in mind if there is a rainy day!). This tour is open for booking!